Cartridge Dispensing for applications that require larger volumes than a syringe dispenser but will maintain ease of use with a disposable cartridge. Disposable plastic cartridges and nozzles provide a clean, efficient and low-cost method to meet all levels of production requirements. Cartridge dispensers range from manual to semi-automated workstations. 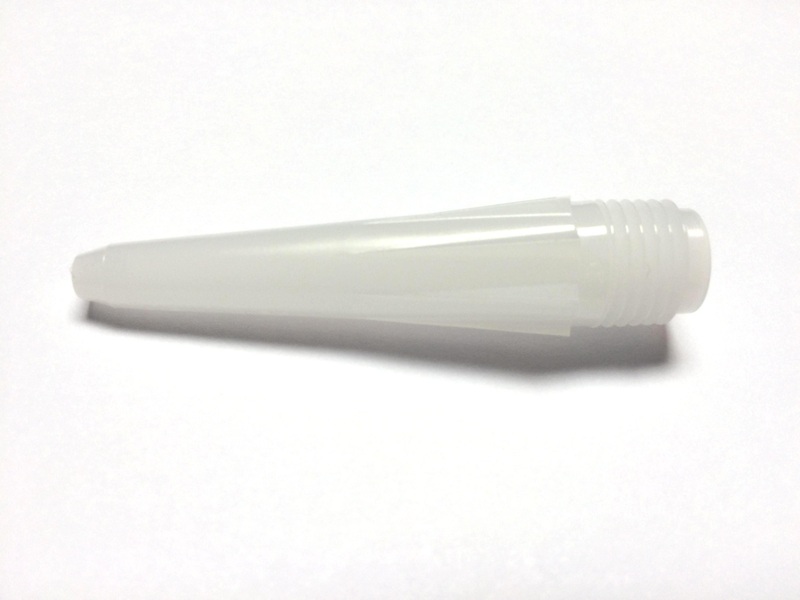 High quality disposable plastic cartridges and nozzles provide a clean, efficient and low-cost method for all types of production applications. The Handheld Cartridge Assembly Station (8880128H, above) for hand-held cartridge dispensing, is available in 2 1/2, 6, 8 or 12 ounce systems. Also available in 1/10th Gallon. Affix the cap to the retainer as shown, screw in a nozzle or fitting and your choice of dozens of needles or tips and you're ready to dispense with shop air. Simple to use and simple to set up for easy timed, handheld use. 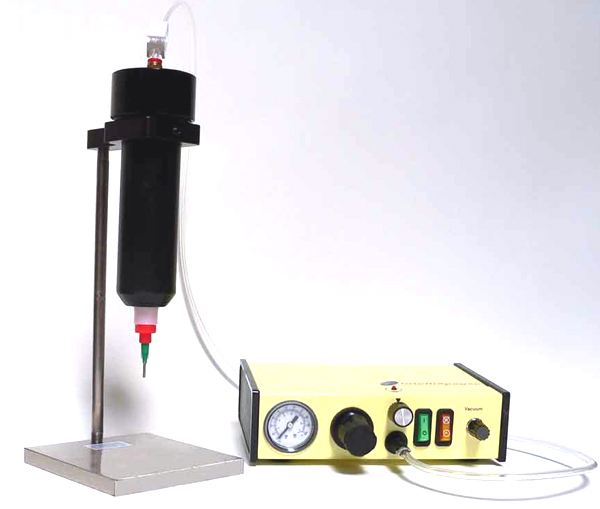 IntelliSpense™ 1/10th Gallon (310 ML) Handheld Pneumatic Cartridge Dispense System. Complete with 5101284 dispenser and a starter accessory dispensing tip kit. 1/10th gallon (310ML) cap and retainer assembly, foot pedal trigger. Free Shipping to anywhere in the Continental USA UPS Ground. Adding extra items to the order will add shipping costs. Availability: Can range from in stock to 4 week build time. Need multiple units? Contact IDS directly for a quote. Cartridge Stand Assembly offers convenient height adjustments and hands-free, mounted or remotely controlled dispensing. Best when work can be brought to the nozzle. The full cartridge system consists of a basic stand, mounting rod, brackets and a rod clamp, controller and all fittings and tubing (shown, above). Use with standard clean, well filtered shop air. 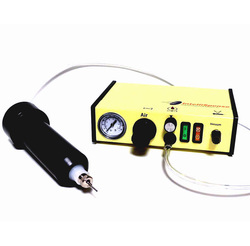 IntelliSpense™ 1/10th Gallon (310 ML) Pneumatic Cartridge Dispense System - Hand Held system * Complete with 5101284 dispenser, starter accessory dispensing tip kit: , 1/10th gallon (310ml) cap and retainer assembly, foot pedal trigger, and stand. SHIPPING COST INCLUDED IN PRICE - anywhere in the Continental USA that can receive UPS Ground shipments. Availability : Can range from in stock to 4 week build time. Need multiple units? Contact IDS directly for a quote. Cartridge reservoirs are put into a retainer, which are made of heavy gauge drawn metal (shown above). They are secured and sealed by locking on a retainer cap. 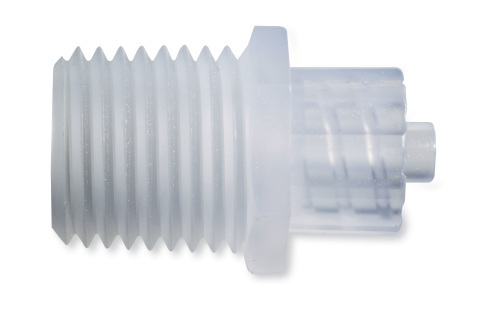 The retainer cap has a female quick connect fitting and a sealing ring. The retainer caps fit all retainers. A connecting hose with male quick connects joins the retainer cap to a dispenser. 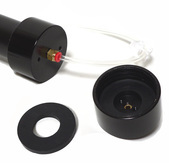 The IntelliSpense™ 1/10th Gallon (310 ML) Pneumatic Cartridge Adapter Assembly is all metal, intended for rugged applications. Includes the Retainer, cap and air line. Intended for use with the 5100804, 5101284, or 5101284DG dispensers or other dispensers or 1/4 od tube fittings. Cartridges and Plungers, with a wiper leading edge, clean each cartridge thoroughly to capture and make best use of your material, saving cost and clean up time. Caps (for the back end) and tips (for the front end) of cartridges make the system ideal for prepackaged materials as well as pre-mixed and frozen product handling. Cartridge Nozzles are available in a variety of lengths, and include various diameter spreader nozzles that are not easily found in the US. 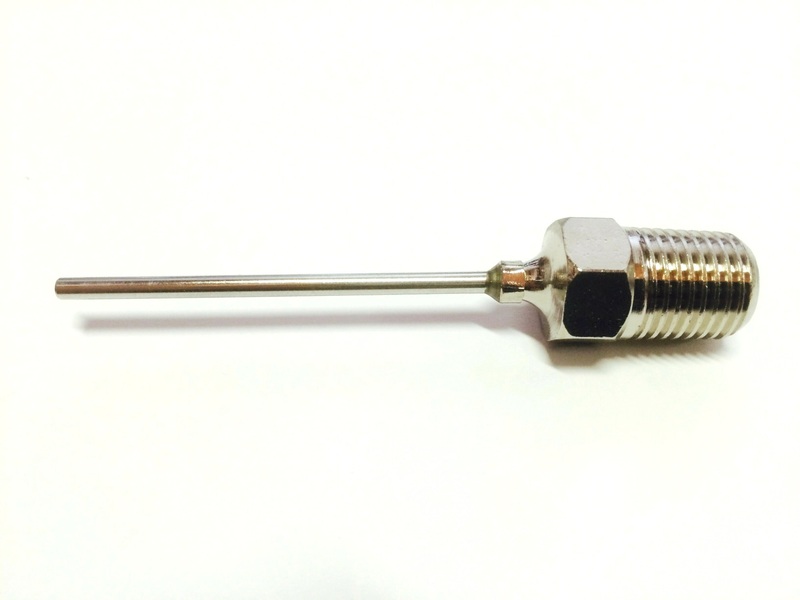 Make sure you stock up on both, or try our needle nozzles! The Empty 1/10th Gal Cartridge, also called a 310ml or 10.3 ounce cartridge, is the most common size found in hardware stores. 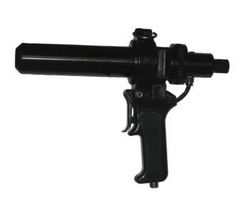 Includes the cartridge barrel and white wiper plunger. Tip caps are recommended to add to your order. 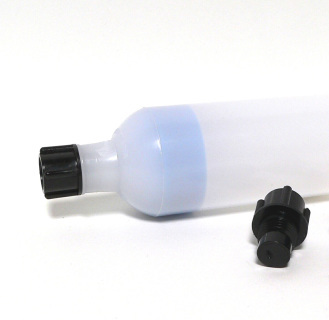 Intended for use with IDS dispensing systems or any standard sized 1/10th gallon systems. Threaded tip caps. 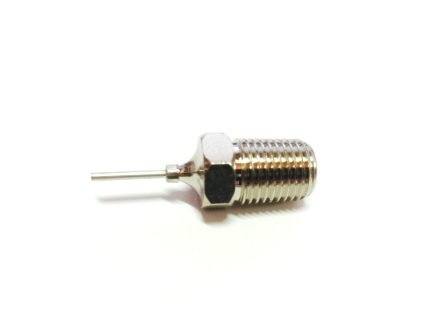 Intended for use with IDS dispensing cartridges or any standard 1/4" NPT thread - 18 pitch. Pricing is for bags of 50. Please contact an IDS rep for bulk order quotes or for different sizes. Pricing is for bags of 50. Normal Build Time 2-3 weeks. Please contact an IDS rep for bulk order quotes or for different sizes. 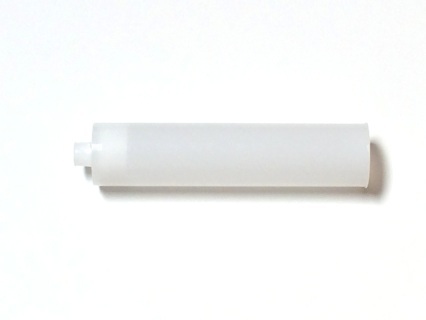 The APMF149PKG includes 10 of the APMF149 adapter. Standard material of construction is Nylon, but Polyethylene is available on special quote. Intended for use with IDS dispensing cartridges or standard 1/4" NPT thread - 18 pitch. 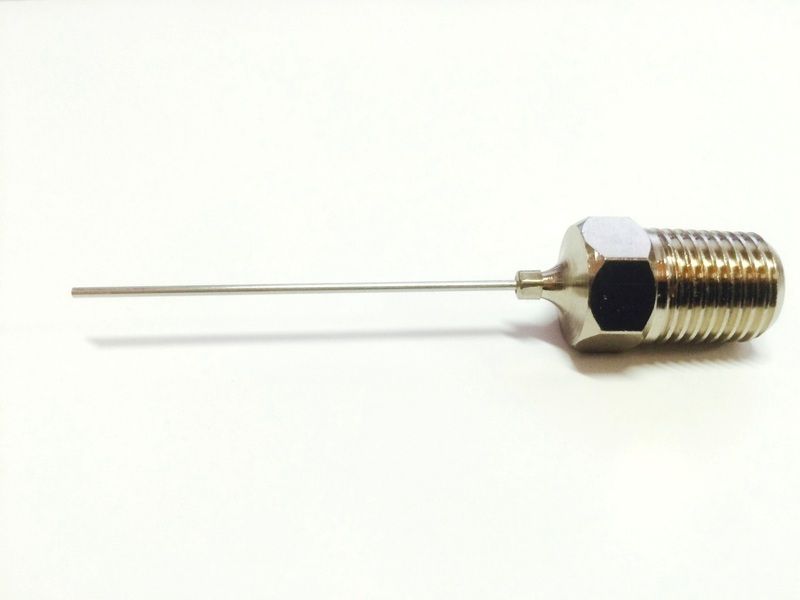 Luer lock fitting works with the variety of IDS dispensing needles. Also commonly used in material transfer to a syringe. The IntelliSpense™ 1/10th Gallon (310 ML) Handheld Manual Cartridge Dispensing Gun Fits Most Standard Hardware Store Sizes For Caulking Cartridges. See empty IDS cartridges for more information. 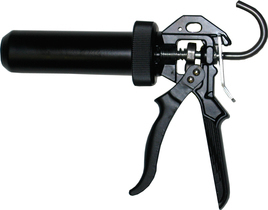 The The IntelliSpense Handler™ 1/10th Gallon (310 ML) Handheld Pneumatic Cartridge Dispensing Gun Fits Most Standard Hardware Store Sizes For Caulking Cartridges. See empty IDS cartridges for more information. 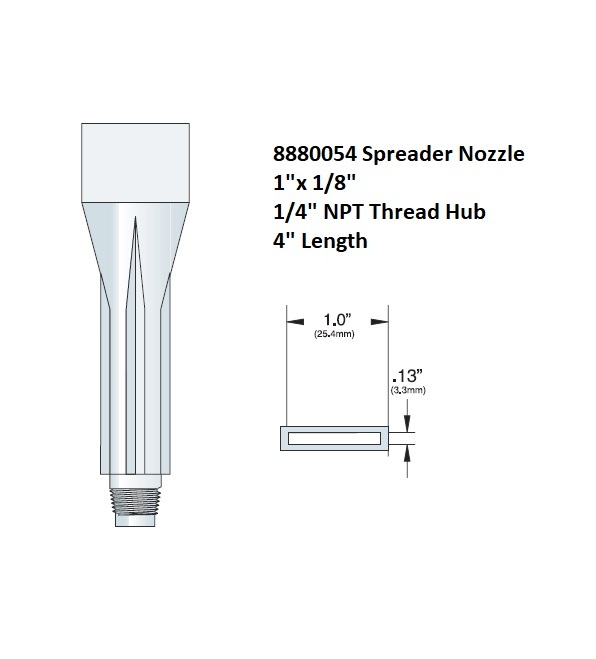 High Pressure Needle Nozzles standard 1/4" NPT thread - 18 pitch Nickel plated brass hubs for a secure fit used with high pressure equipment or a dispensing cartridge. Shafts are 304 Stainless Steel, passivated, polished and burr free blunt end cut. Pricing is for boxes of 12. Please contact an IDS rep for bulk order quotes or for different sizes.